A business is not just a plan anymore, it is an idea – an idea that changes the norms and working of the traditional methods of business. This idea will only be a plan if you don’t tell about it to the world and in today’s era, the best way to do this is to go digital. Digital marketing provides your business idea a platform through which it can flourish and taste the fruit of success. The reason being everything today is marketed and brought to the notice of the wide audience through digital platforms. A business can go digital through its various avenues like Social Media Marketing, Google AdWords, Facebook Ads, Search Engine Optimization, Websites, etc. SRV Media offers all these services under one umbrella, with satisfaction of the clients given utmost importance. Understanding that business on internet is the next big thing and for that we provide the business tactful digital marketing strategies that will create a vast reach for the client’s business. In layman terms Google AdWords is an advertising technique through which businesses can display their ads to the diverse web users. It is primarily based on keywords that help in the ranking of the Ad copy, so that when a person searches for something on the web related to your business, even your product or service comes into picture. This is an opportunistic strategy to make your business have a world-wide reach. 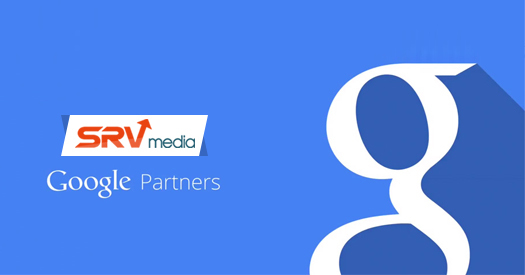 SRV Media also works on AdWords with several years of experience in the field. After having worked with more than 900 clients worldwide, SRV has become a pioneer name as a Google AdWords partner agency in Pune. Through Google AdWords, a business does not only get a huge customer base but also earns extra revenue as it is a part of Pay Per Click Advertising. As it is known that running Ads on different social media platforms serves greatly in both earning the revenue and making your business known, Google tops all other forms of advertising. Google AdWords is an effective marketing strategy for both B2B and B2C channels, and SRV Media offers its clients an assurance to earn numbers at an effective cost. For its clients, SRV keeps a track of the numbers and also promises the clients an increase in it. This makes it the most trusted Google partner company in Pune. Before taking up any project, the team at SRV Media extensively analyses the market for the clients and then suggest them how it can improve not just their sales but also lift their brand presence. Taking into consideration the feedback from the clients, SRV Media strives to keep the client’s brand name and establish it across different markets successfully. With a great objective, SRV Media is steadily setting a mark in the digital marketing world. Next story These New Ad Extensions from Google Just Made Advertising bit more Awesome! Previous story SRV Media: The One-Stop Digital Marketing Agency For All Your Needs!